As a Superromance author, I have a goal. I want to read a book by each of my fellow Super Authors. Why? Well first of all, they write the kind of books that I love to read. Complex. With characters who need to grow. With heroes and heroines who juggle commitments and communities and friends and families. Harlequin Superromance stories have all of this. It’s why I write for them and it’s why I read them too. Plus, I have met so many of my fellow authors and they are such lovely people. So I know their books must be special! The problem is, I don’t have enough time to read. And then when I do read, I forget to write about it here. That is why I’m about to tell you about a book I read last summer. Yes, last summer. What can I say? It’s been a busy year. I have read other books since then. But I’ll tell you about those another time, because I don’t want to skip this one. 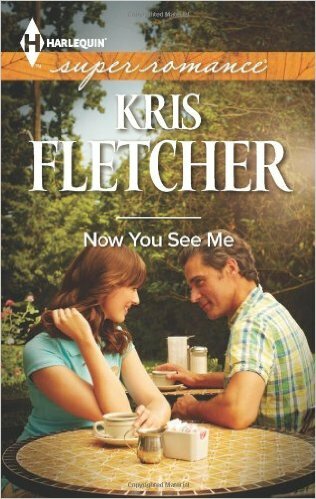 Now, full disclosure, the author, Kris Fletcher is a wonderful person. Friendly, wise, kind, and so much more. But no matter how much I like her personally, I promise you her book wouldn’t be on my blog if I didn’t love it. I don’t talk about books here unless I really, really like them. Now You See Me is a very special book. First off, it has a flawed hero and if you’ve spent time with any of my books, you’ll know I adore a flawed hero! And J.T. Delaney is very flawed. He made a terrible mistake years ago and now he’s back in the hometown where he made it. A town that hasn’t forgiven him. And although he regrets what happened, he also hasn’t totally reformed. He isn’t perfect. That’s what’s so great about him. Some of the characteristics that led to his initial mistake are still with him, and they still trip him up sometimes. He has a conscience and he regrets what happened, but he has also moved on and made a good life for himself. He’s brave to return to town, but not totally brave, which made me like him more. He’s also a bit goofy, zooming around town on his rollerblades. He’s a well-drawn, believable hero, complete with weaknesses, quirks and issues. And I loved that the heroine, Lydia, is so strong. Sure, she’s lonely sometimes, trying to get by as a single mother. But she’s never weak. She’s not waiting for a man to make her life better and she isn’t willing to settle. She’s also funny. Well, in reality it’s Kris who’s so funny. I love how she writes Lydia’s impressions when she first meets J.T. But I LOVE that I felt that way. Because I love reading writers who make me double down and work harder and try to be better. And if they deliver a fun, involving romance at the same time? Then I’m a fan for life. 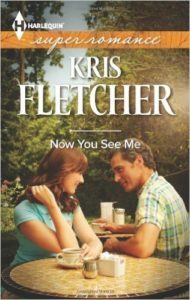 To learn more about Kris Fletcher’s books, please click here. And thanks for joining me on my blog today! ← A New Book Cover!